It’s that time of the year when you have to assess and review your financial life so far and how you can improve it this New Year. While there is no magic formula to follow, you can do the following steps to help you manage your finances and gain more control over your personal finances. You have to know where you want to go and what you want to reach in your financial life. Write your goals so it is easier to analyze and review them. Once you know your goals, know the time horizon when you expect to reach them. Set up your short-term, medium-term and long-term goals by prioritizing which goals are more important for you to reach in a given amount of time. This will also help you prioritize which goals are most important for you. For example, short-term goals could be paying off your credit cards, saving for Christmas gifts or even cutting down on your daily cup of coffee. Your long-term goals, on the other hand, could be: buying a new home, changing careers or planning for an early retirement. Doing this exercise will help you gain direction for your financial life. Having made a list of your financial goals, you can now start fleshing it out by creating a financial plan. This plan will help you see directions on how you can reach your goals. A good financial plan includes budget building, milestones setting and continuous assessment. A simple budget details how much income you want to earn and how much expenses you plan to spend. This budget helps you know where your money is going to. When you have a plan, you will have a clearer grasp of how much money you want to have on hand, how you will spend it on and how much surplus or deficit you will have by end of the day. Detailing your budget can give you greater discipline and knowledge on where you spend your hard-earned savings and how you plan your future spending to ensure that you achieve your financial goals. Remember, it is so easy to spend more than what you make. So, keep an eye on your budget constantly. Once you have taken control of your budget, you have to start prioritizing your debt payments. The most common debt you can have is credit card debts. Having a credit card debt isn’t necessarily bad for your finances. Actually, you can even use this to your advantage by taking advantage of credit card promos like 50-percent off discounts on restaurant meals, hotel accommodations, retail and wholesale purchases or even some household and appliance purchases. What’s bad is, if you can’t keep up with the payments anymore that you need to borrow in order to pay off your borrowings. If you are in this situation, what you can do is to start paying more than the minimum amount due per month. It will take you 10,000 years to pay off a debt if you just pay for the minimum amount per month. Understanding your saving and spending habits can help you prepare to make your money grow through investments, insurance and retirement plans. It is good to seek advice from a competent financial planner, preferably a registered financial planner, who can help you achieve your wealth-building objectives. A financial planner will go over your financial goals and advise you on how to tailor a financial plan that can match your financial goals and time horizon using the investment vehicles available to help you reach your goals as quickly as possible. Remember, it is not the money you earn that ultimately determines your wealth; it is how much you saved and invested. 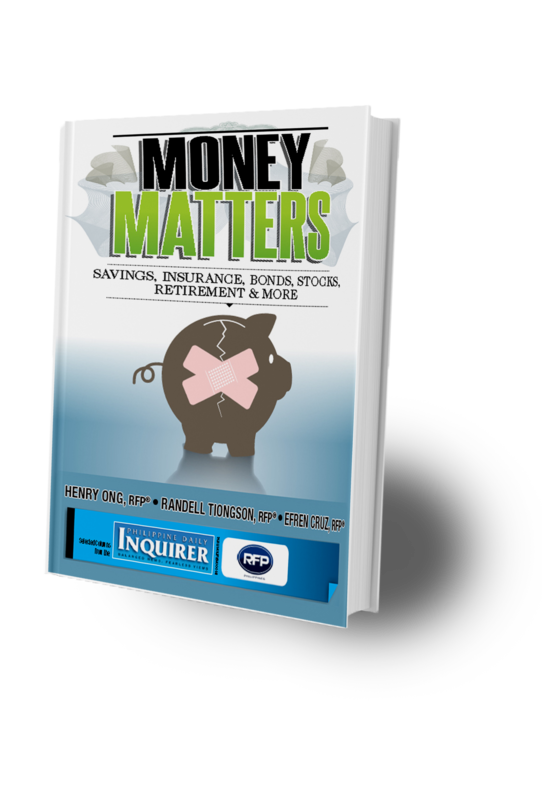 Carissa Patag is a registered financial planner of RFP Philippines.